Every marriage has its Rubicon moment. Mine came last week. “Remember that milk chocolate we bought?” Suzen asked me. Now, I’m supposed to say “no” and she’s supposed to say “it is wonderful” and then give me a taste. “No,” I said, properly following the routine honed in twenty-five years of faithful marriage. “It was wonderful.” Strange, she said “was” and not “is.” And then she walked into the next room. I stood there with my mouth open. No chocolate placed on my tongue. And so on Sunday I found myself in Fruition Chocolate on busy Route 28 in Shokan, New York. 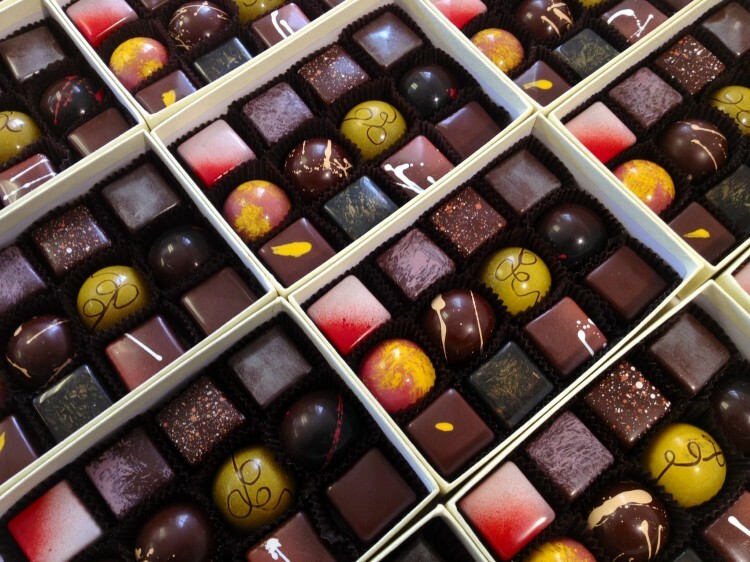 Just three miles from our weekend house is a new chocolate shop. No, not a shop, a chocolate works. 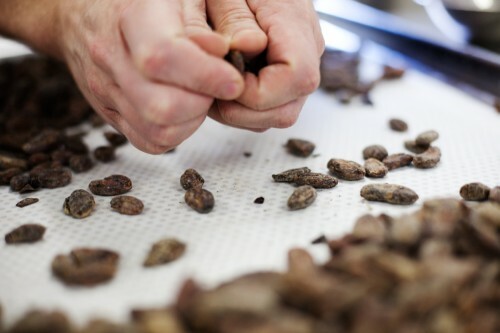 There are only a half dozen firms in the entire country that make their own chocolate from scratch: buying cocoa beans, roasting them, and working all the steps up to chocolate grace. What kind of luck do I have to now have one of those firms literally just down the hill from me? Fruition was founded by Bryan Graham, a native of the area, experienced pastry chef, and graduate of the CIA. He considered opening up his dream chocolate works in many places and actually drove cross country with his wife to find the perfect spot. And in the end, thank god, they came home. Bryan is enthusiastic, professional, and creative. Normally, the fall weekend traffic on Route 28 is pickup trucks with gun racks and dead deer in the back. Now there will be the occasional truck delivering cocoa beans from Costa Rica or Peru to Fruition. The neighborhood is definitely getting better. If you go to http://www.tastefruition.com, you’ll get a preview of what I’m talking about. The Classic Milk Chocolate is just that, classic. It is smooth, not waxy. Pure in flavor, just magical in rich consistency. 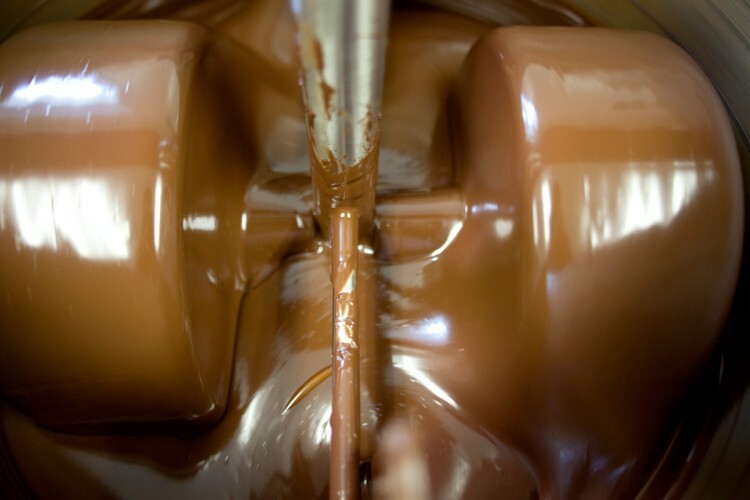 It is as grand as any milk chocolate you’ve ever had in New York or Paris or London. If you start to eat a bar, you simply won’t be able to stop. Just ask my wife. There are four other chocolate bar flavors plus nut products, like the Dark Chocolate Coated Jalapeno Dusted Corn nuts. And, as the picture above shows, they are adding ideas and doing specialty treats for customers. All the products are brilliantly produced. The store itself is open on weekends for over-the-counter sales or you can use the website. Distribution of products is limited now to a few Catskill locations but will surely grow. Once you try Fruition products, you’ll instantly understand the quality and care behind them. Don’t hesitate to treat yourself.